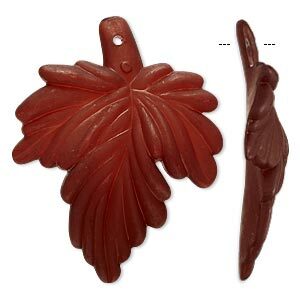 Focal, acrylic, frosted dark brown, 33x26mm side-drilled leaf. Sold per pkg of 50. Item Number: H20-7358PB Have a question about this item? Focal, acrylic, frosted dark brown, 45x37mm leaf. Sold per pkg of 25. Focal, acrylic, frosted dark brown, 50x32mm leaf. Sold per pkg of 25. Minimum 2 per order. 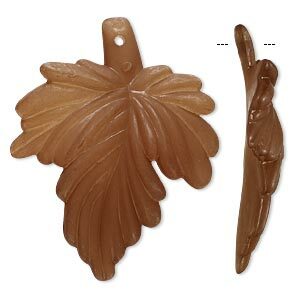 Focal, acrylic, frosted light brown, 33x26mm side-drilled leaf. Sold per pkg of 50. 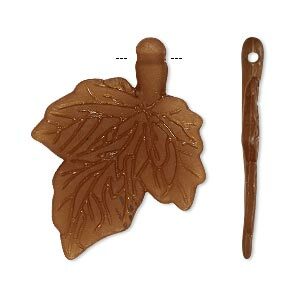 Focal, acrylic, frosted brown, 33x26mm side-drilled leaf. Sold per pkg of 50. 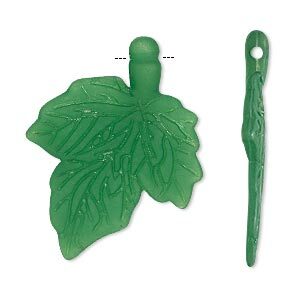 Focal, acrylic, frosted green, 33x26mm side-drilled leaf. Sold per pkg of 50. 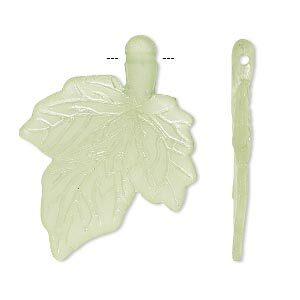 Focal, acrylic, frosted light green, 33x26mm side-drilled leaf. Sold per pkg of 50. 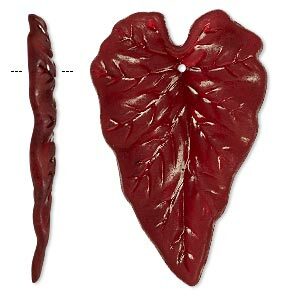 Focal, acrylic, frosted olive, 33x26mm side-drilled leaf. Sold per pkg of 50. 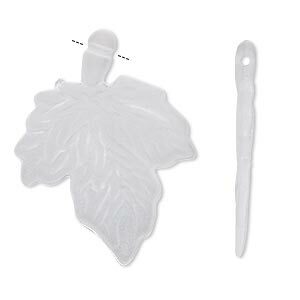 Focal, acrylic, frosted clear, 33x26mm side-drilled leaf. Sold per pkg of 50. Minimum 2 per order. 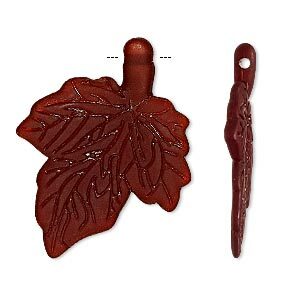 Focal, acrylic, frosted orange, 33x26mm side-drilled leaf. Sold per pkg of 50. Minimum 2 per order. Focal, acrylic, frosted brown, 45x37mm leaf. Sold per pkg of 25.